A pain-free future for dentistry? 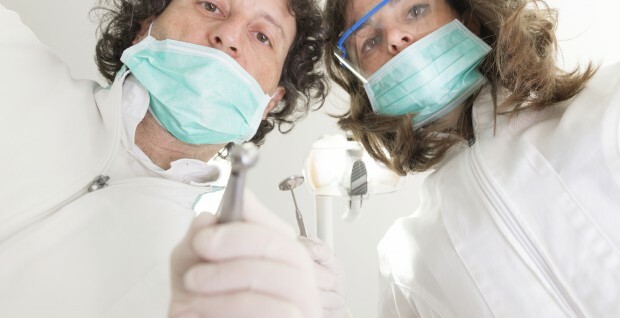 A survey by the British Dental Health Foundation has revealed one in three people find visiting the dentist frightening. 31% of respondents claimed needles and injections were their main cause of fear whilst 25% were most concerned about pain. Are you among those scared of visiting the dentist? If so, you’ll be pleased to hear researchers at King’s College London are working on a new technology they hope will eliminate the need for drills, injections and fillings. The technology uses electricity to strengthen a tooth by delivering minerals into the enamel. Calcium and phosphate minerals, naturally found in teeth, are removed by acids from food. Using this new method (named electrically accelerated and enhanced remineralisation), the dentist would apply supplementary minerals to the tooth and then drive them deep into the surface via a small electric current. The researchers claim this would strengthen the tooth and help to reduce tooth decay – a leading cause of tooth loss. The technology is currently in the early stages – but could spell a pain free future for dentistry!